Wow!! Lots of stuff has been going on and happening over the last 6 months. Most notable is that I took the big leap of leaving full-time employment to climb full time. It was extremely scary but also extremely liberating to walk away from the security of a good job. In a bit of irony, I realized the morning of my last day of work that it was also the 15 year anniversary of when I broke my leg and ended my plans to go traveling. I feel like I'm finally picking up where I had left off. 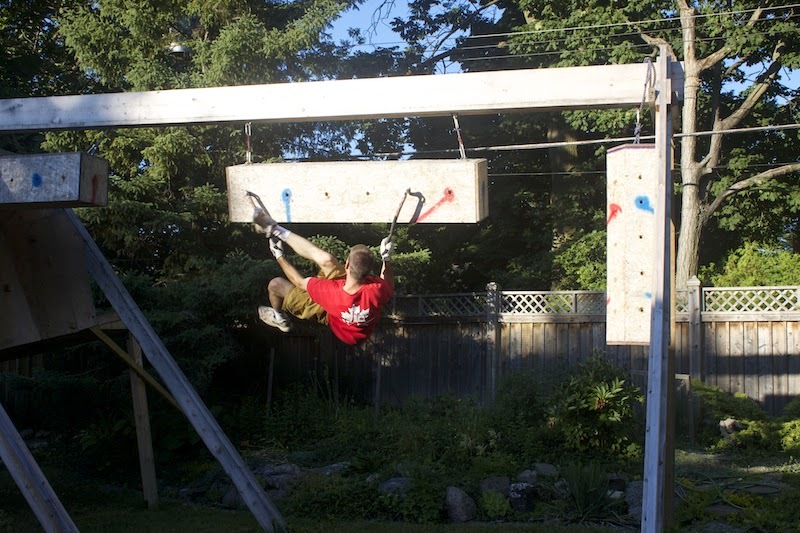 Over the summer I have been doing some training for Ice Climbing World Cup. I'm currently trying to take a month off from the ice tools and training to just spend time rock climbing and have fun doing it. Something I have been losing sight of in the hectic life of full time work while trying to do high-end climbing. Over the summer we went to the Beaver Valley Climbers Festival and had a Team Canada "booth" set up to do some fundraising of the Ontario Access Coalition. It was a miniature version of what I have built in my back yard and with ice tools hung in place. The big news for the up coming IWC season is that there will be a World Cup competition in North America! The competiotn at the Bozeman Ice Festival has officially made the final steps to becoming part of the IWC tour. 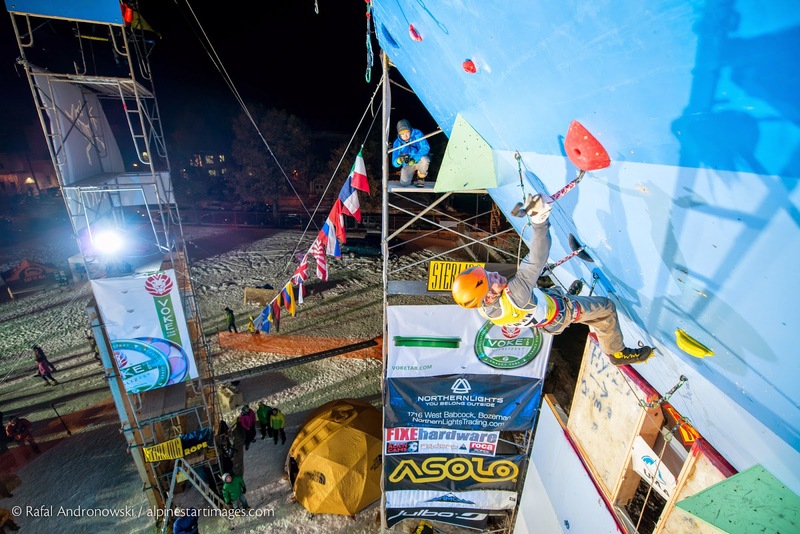 It should be an exiting addition to the circuit and hopefully this will generate more interest in competitive ice climbing in N.America. My wife Rebecca will be part of Team Canada and will be traveling with me to a few of the competitions to compete.